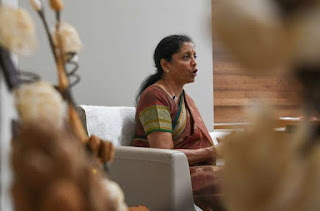 India is hopeful it will avoid US sanctions over its purchase of Russia's S-400 missile system, Defence Minister Nirmala Sitharaman told AFP. Indian Prime Minister Narendra Modi made the deal with Russian President Vladimir Putin in October, defying US warnings of sanctions on countries buying Russian military equipment. The sanctions were part of measures to punish Moscow for its actions in Ukraine in 2014.